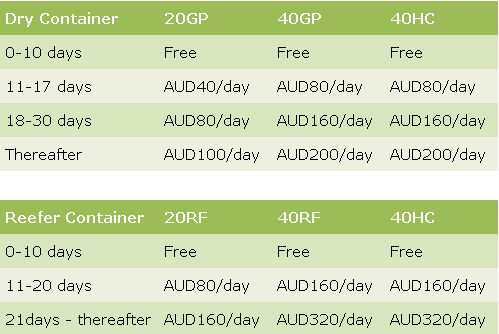 Are you looking for a reliable freight forwarder to handle your shipping to Australia? We’re here to help. Whether you want to transport via sea or air, we are fully qualified to deliver your shipment to any location in Australia. Now there is no reason for you to pay very high freight costs. We will offer the cheapest freight rates for your cargo importing from China. Contact us before your supplier pack the container. Shipping cost will be less with us. The state of Victoria is known as the freight and logistics capital of Australia. It’s home to the largest container and general cargo port, as well as two curfew-free international airports and further supported by an extensive rail and transport network that clearly puts Victoria as the preferred location when it comes to the nation’s distribution, warehousing and logistics businesses. The main ports is Sydney, Melbourne, Brisbane. And the airports are Sydney Airport (SYD), Moorabbin Airport (MBW), Jandakot Airport (JAD), Bankstown Airport (BWU), Parafield Airport (PAL), Melbourne Airport (MEL), Brisbane Airport (BNE) and Perth Airport (PER). It will take 2~3 weeks to arrive at Australia ports by sea. And 2~6 days by air. Shipments like clothing, footwear, furniture, iron and steel products, automobile, refrigerated items as well as dangerous goods can all be shipped to their destination securely and on time. From time of order placement, pick-up to final delivery, we are in complete control of your freight. No project is too large or small for us! If your destination is not listed above, or you need to-door service, please don’t hesitate to contact us to discuss your specific logistics requirements and save your budget. Cargo transportation to PNG, Vanuatu, and Solomon Island are always difficult. It took a long time, cost more with few schedule route. The POL is Qingdao, Shanghai, Xingang, Ningbo, Xiamen, Shekou, Huangpu and Hongkong. 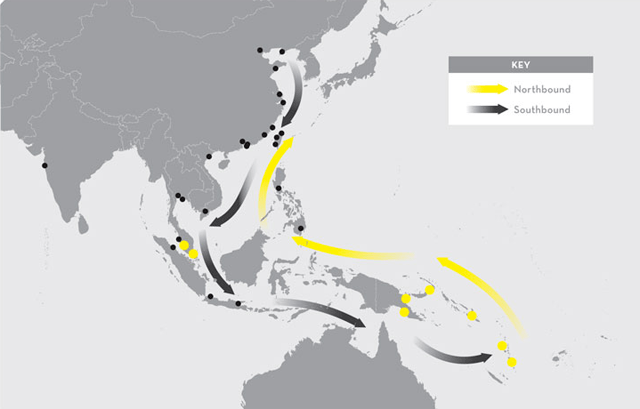 And the POD in PNG (Papua New Guinea) is Lae, Port Moresby, Rabual, and Madang. It’s about 25 days transit time from Qingdao to Port Moresby. The POL is Qingdao and Shanghai. And the POD in Vanuatu is Vila and Santo. It’s about 35 days transit time from Qingdao to Vila. The POL is Qingdao and Shanghai. 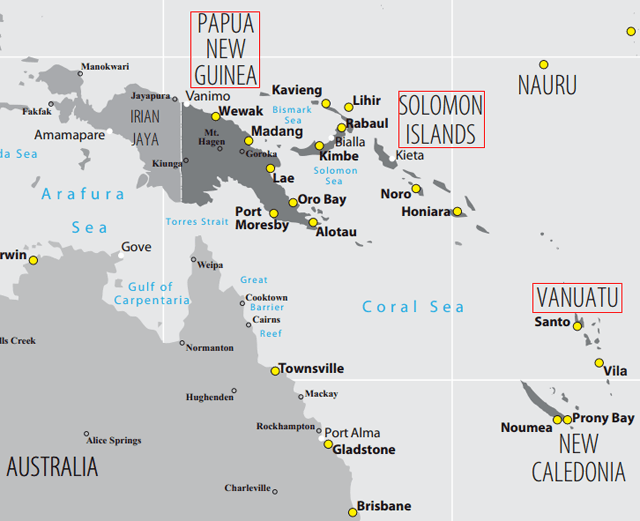 And the POD in Solomon Island is Honiara. It’s about 35 days transit time from Qingdao to Honiara.